This may have been standard doctrine under Lea Jacob’s contrarian study, The End of Sentiment. This is a particularly clear expression of that view, from Edgar Morin’s 1957 Les stars (p. 22 in the 1972 re-edition). Think of that scene you’ve seen countless times: A character is in a room (sitting at a desk, busy doing something), and B character walks in. A character does not react until B has crossed the whole length of the room, and is standing right next to him. Why not ? Could it be that silent films are indeed ridiculous in their stilted, un-natural ways ? Or could it be that this is a theatrical aside: since space does not carry sounds in silent films (or at least, not always), the possibility exists to have several actions take place at the same time, in the same frame, but remain distinct, as in the theatrical aside. And just as in the theatrical asides, the secondary action comes to comment on the principal action (in our example above, it creates a little dramatic suspense in delaying the beginning of the next scene, where both characters sit together to eat; it also nicely hints at the uncomfortable situation of the brother who’s come, basically, to eat Barney’s food). 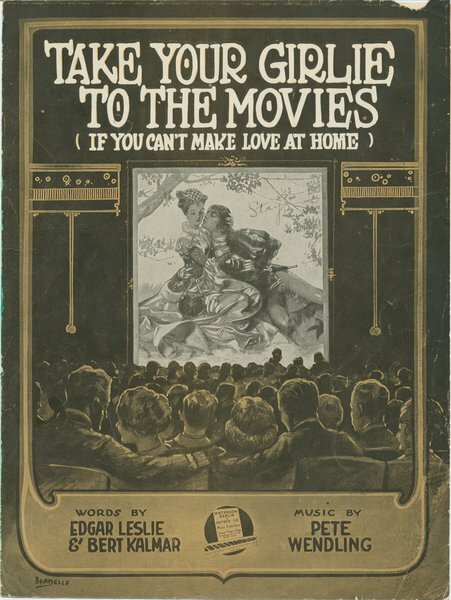 This theatrical aside technique is often used in the early 1920s. 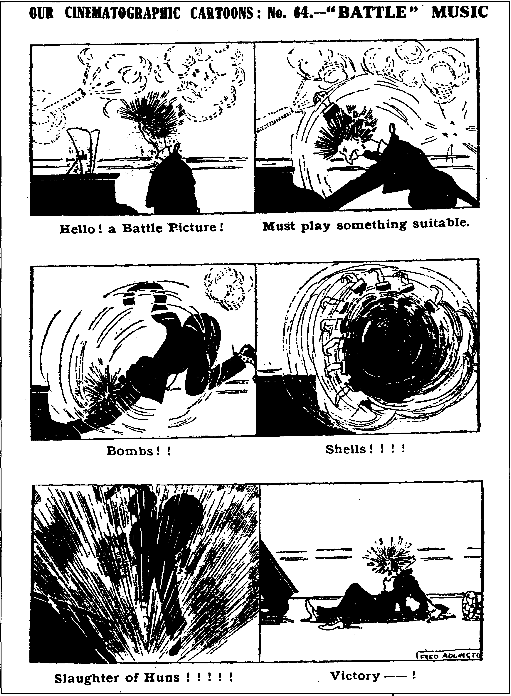 As more “naturalistic” acting and staging techniques are deployed by the end of the 1920s (thus giving a leg to the argument that sound cinema was not so much an invention by 1927 as a fulfillment of stylistic expectations(1)), these asides tend to disappear from the repertoire of stylistic devices in non-slapstick Hollywood films. By the late 1920s, a knock on the door is heard by actors in the film – though the audience still can’t make it out. See how Garbo (foreground) has heard Gilbert (deep-focus background) coming into the room way, way back there. I mentionned the song “Take Your Girlie To The Movies” as sung by Joanna Seaton with Don. Sosin accompanying, during the Pordenone festival. You are currently browsing the silent sound category at flycz.